WEEK TWO: This is the part I am most passionate about. 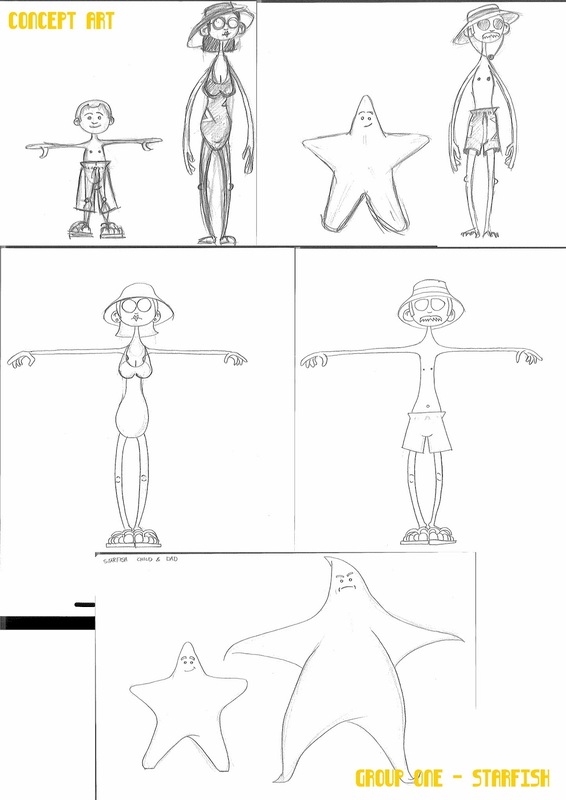 Story, Timing, Storyboarding, Character design and Matte background art. Bringing the story to visual life. Its super exciting. Planning to make deadline and how we make deadline. Concepts begin. 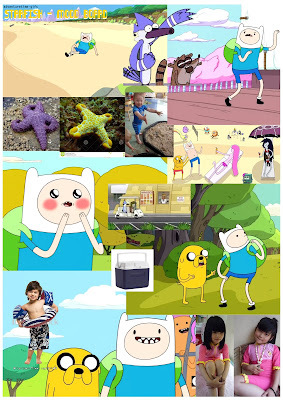 We are aiming for a simple style like Adventure time and The Regular Show. But in 3D / CGI. Very cartoony. Very pleasing on the eye to match our story and setting. This will make lighting more manageable inside of our cartoony realm. We start referencing these shows, grabbing as many images that relate to our story. We start reference and the look / style guide process begins. I have then made a mood board to gather all the info before the concepts are started properly. This gives us all an idea that we are all working together as a group to come up with designs. Together. This is an important part of the creation process that I support and feel your idea can grow quickly. But more than anything this is where the character gets depth and believability. 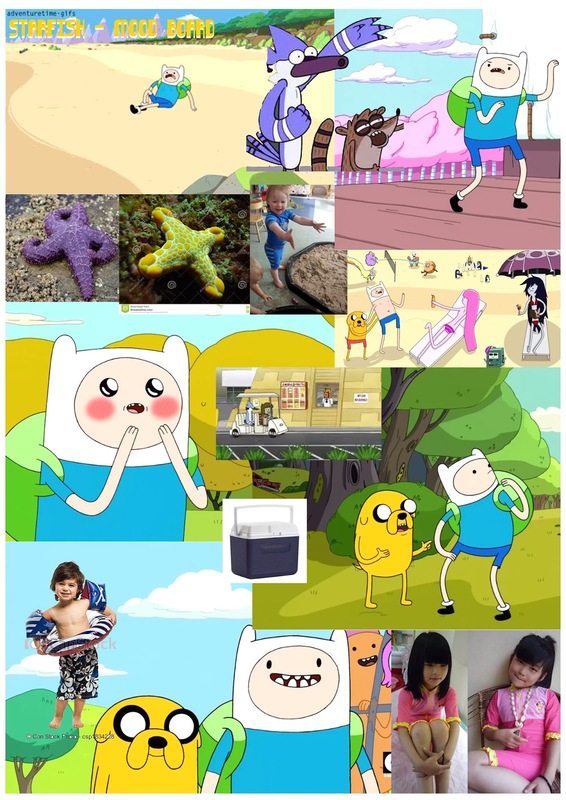 which is everything to us in animation. I have come up with some of the original concept designs to get across the simple style we are going for. I have then given a character to everyone in the group to redesign. 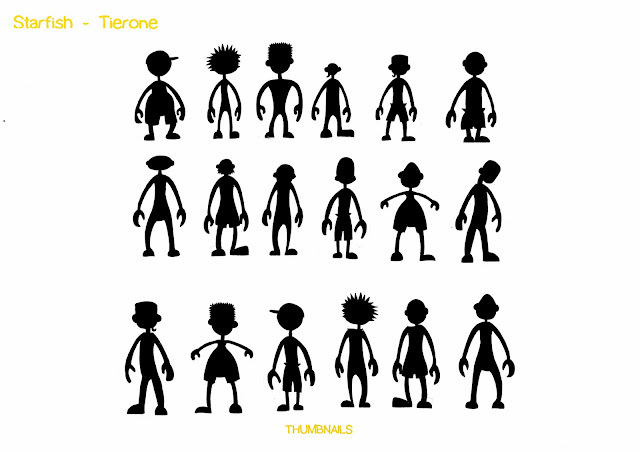 After everyone has redesigned the characters based on our simple style. We will then present these concepts with our storyboard for our first critique. The critique is to get a fresh pair of eyes on the story. To make sure it makes sense. 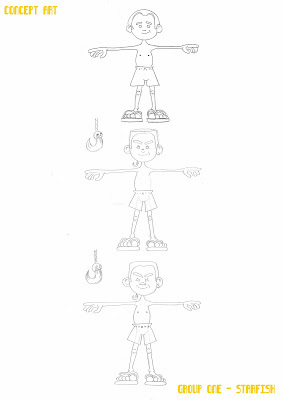 Below are my concepts and working order of how the idea developed in to a style we can happily model, texture and animate. 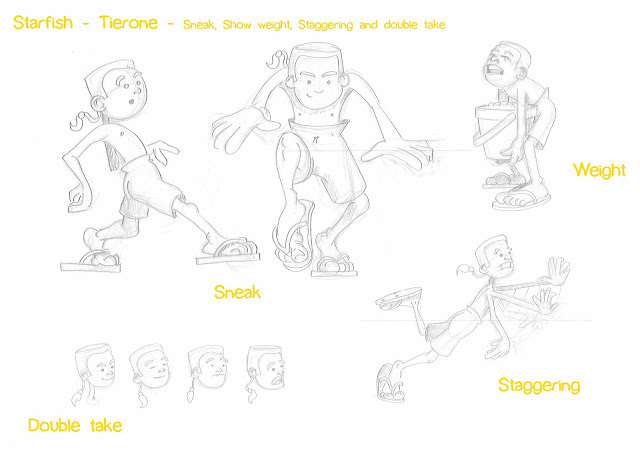 While other group members went to redesign some characters I focused on the main character. The annoying boy at the beach. He was looking far to cute. So I had to make him look super evil and almost antagonising little boy. 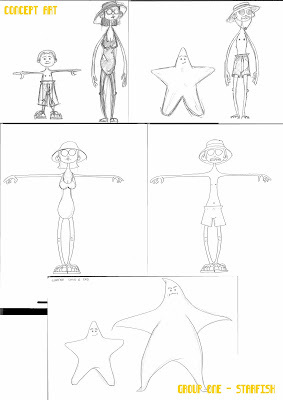 Jamie and I worked on the animatic while other members worked on concepts and assets for the production. We then had a 'Rush' session and received great feedback on the animatic and identified parts that did not hook up very well. 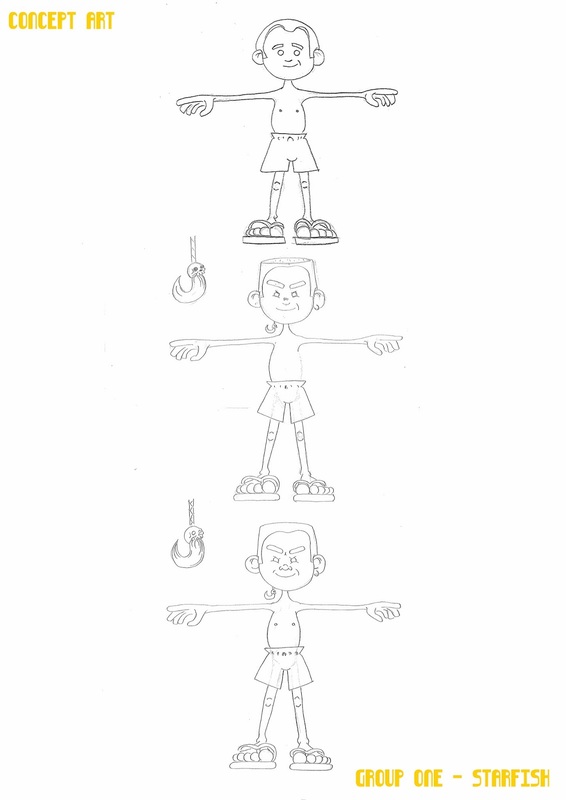 Over the weekend I worked on the finalised BOY concept and background we will be referencing for the production. I completed some thumbnail/silhouette of the boy concept idea to make sure the character suits. I also completed the course requirement of Sneak, Staggering, Double take and showing weight.